Don't you just love alliteration? I do. It's such fun. It has nothing to do with anything about this pencil sharpener, but I do love the name: Popular Purple. 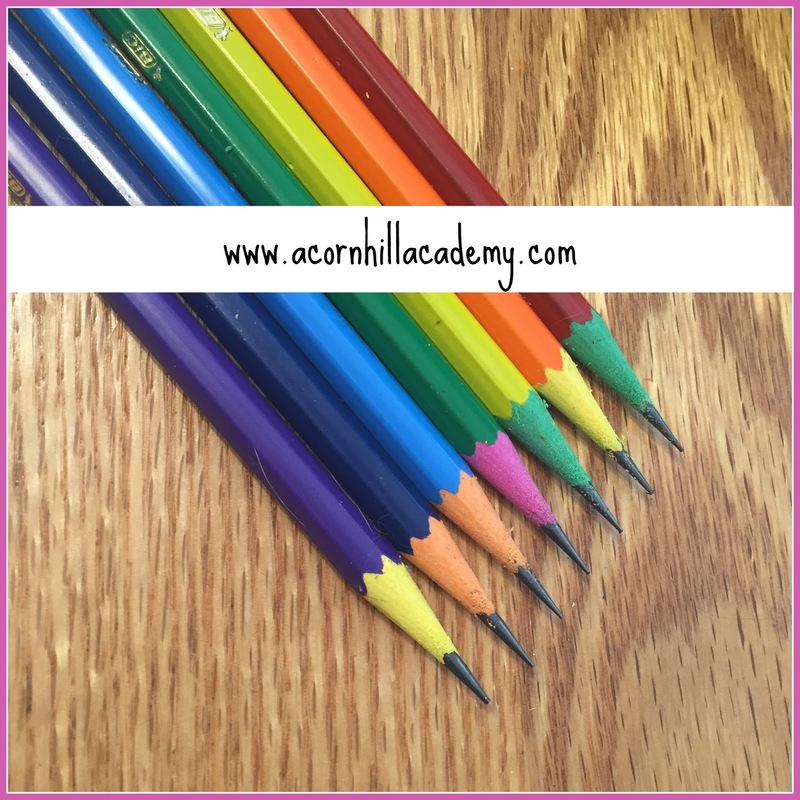 I was recently sent one of these lovely things from Classroom Friendly Supplies, so that I could review it and share my honest opinion with you. I reviewed a similar, but red pencil sharpener last year. The red one works very well, but it is not my favorite color. The purple one works just as well, and has the added bonus of being PURPLE, which is one of my favorite colors. It has won a special place in my heart. I have to believe every person knows the value of having a good pencil sharpener. I didn't give it nearly as much thought until I started homeschooling, though. It is not easy to find a good pencil sharpener these days. There are entire threads on homeschool message boards about which pencil sharpeners are best. I'm here to tell you, the ones from Classroom Friendly Supplies are what you've been seeking, even if you didn't know you needed one! My kids love these sharpeners. They create what they call "pencils of death." What that means is, one gets an exceptionally sharpened pencil, which is a lovely way to start your math problems. It's almost as if you have a weapon in hand to conquer those algebra equations. I would like to note here that with my ebony pencil, which did fit into the sharpener but is a little bit thicker than a standard pencil, it kept on sharpening until I pulled it out. Also, we have some fun pencils with brightly colored cores that seem to be just a hint thicker than standard, probably because of the coating on the outside, and they didn't stop quite as well as plain ol' yellow pencils. My only issue with this sharpener remains that it only works for standard-sized pencils. I have a little guy, and he enjoys using those fat pencils for little kids, you know? 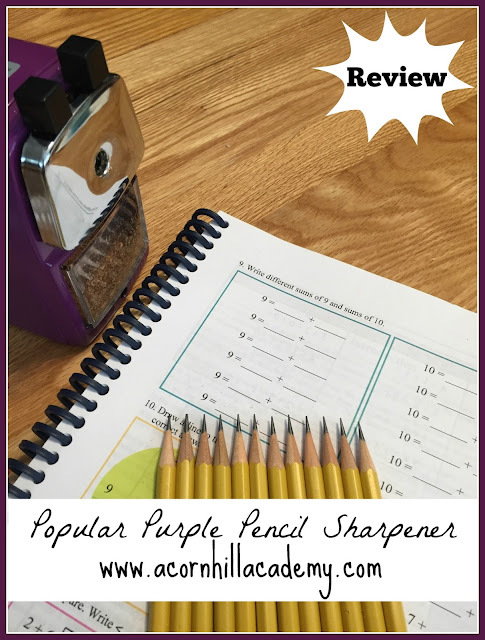 You can't sharpen those with the fabulous purple pencil sharpener. They do, however, have the amazing Large Hole Sharpener, which works on large AND standard size pencils. Each pencil sharpener from Classroom Friendly Supplies is $24.99, unless you get some friends together and order 3 or more, at which point you can receive quantity discounts. You can order replacement blades for them, too, as well as replacement shavings trays, in case yours gets broken or misplaced. The exception is the Car Pencil Sharpener, which is $19.99, and does not have replaceable blades. I do love my CFS pencil sharpeners, and I hope you will check them out! I received one purple pencil sharpener for the purpose of my review, and received no other compensation. All opinions are entirely my own.